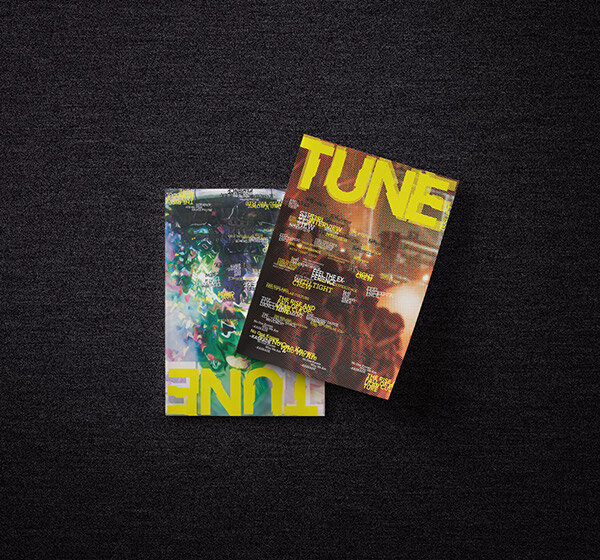 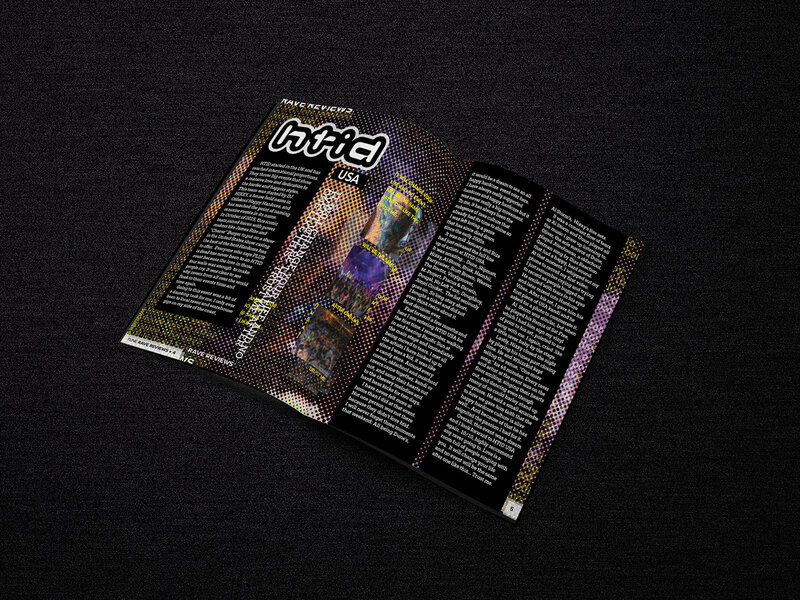 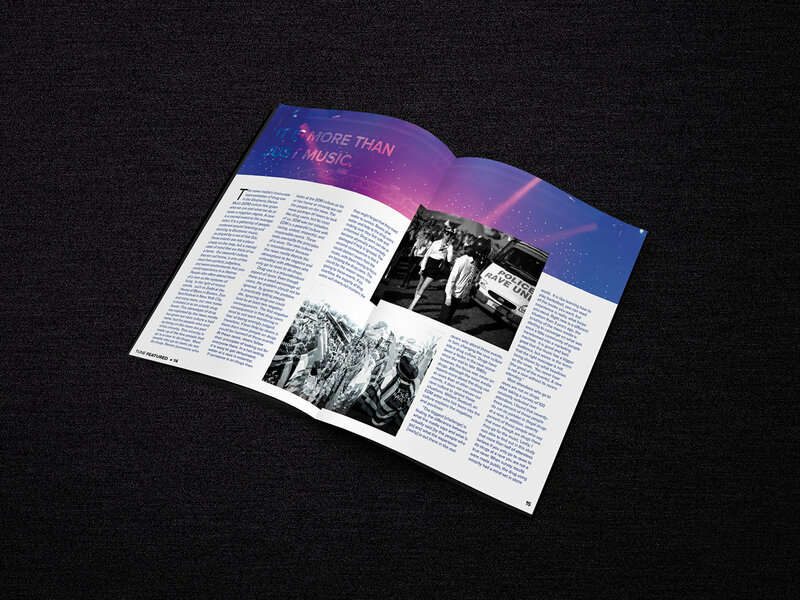 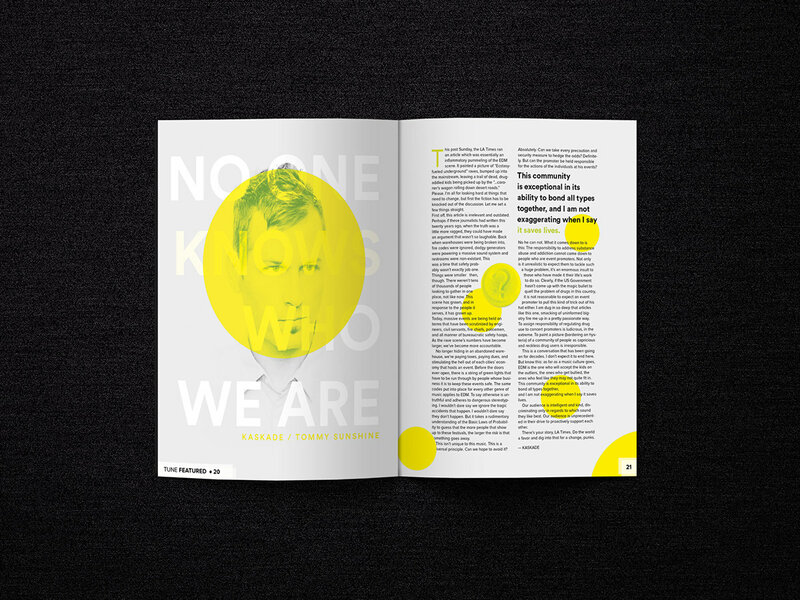 Tune is a reactionary zine that is found in the underground dance music community, often times handed out at events and passed down through different owners once read. 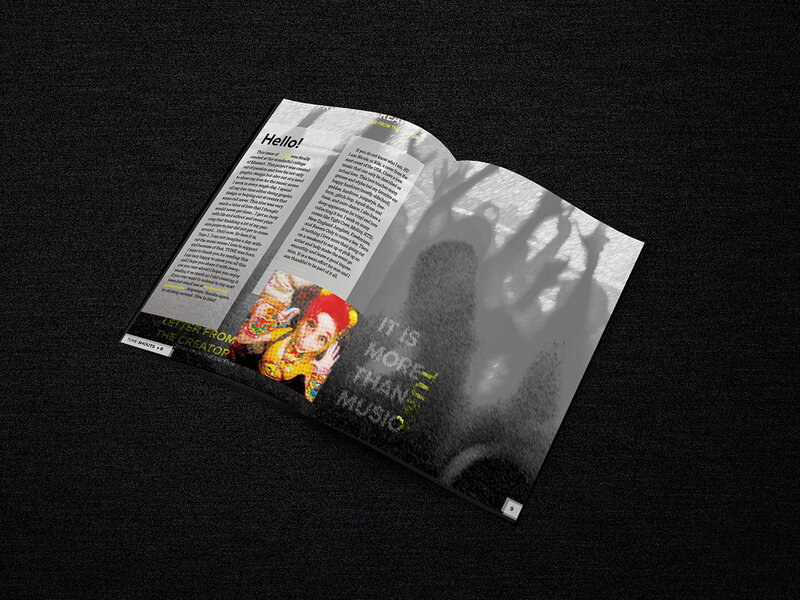 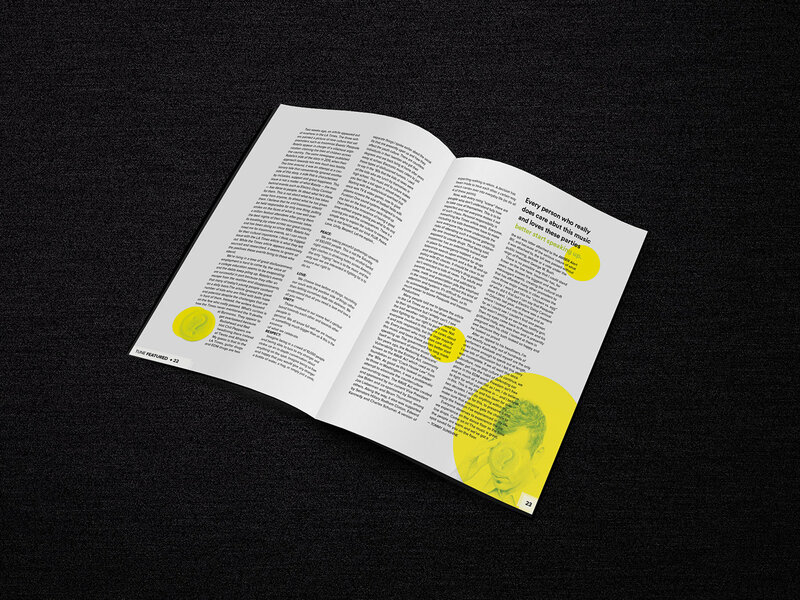 It is an informational zine where these people can be up to date with subjects that may be important when being part of such niche and underground cultures. 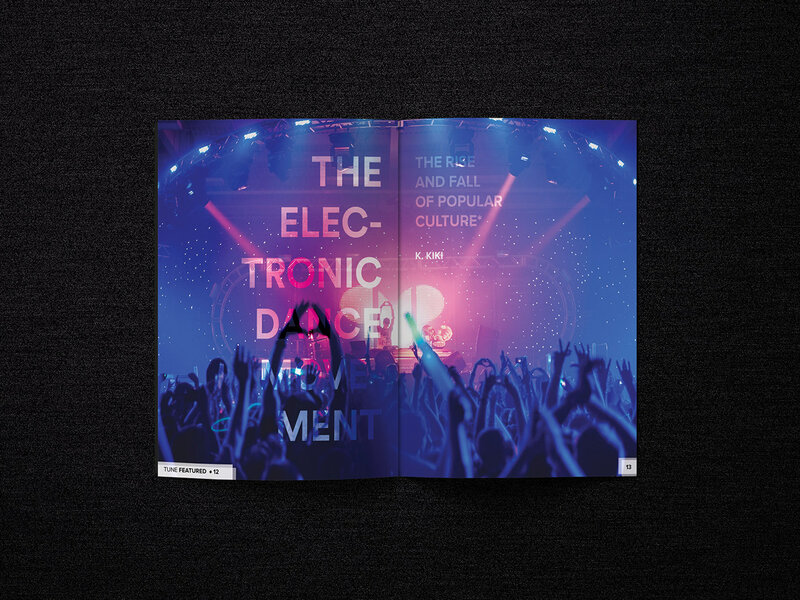 Electronic dance music is erratic and eccentric by nature and my hope was to not only capture the sound of an event but the look of an event's atmosphere too. 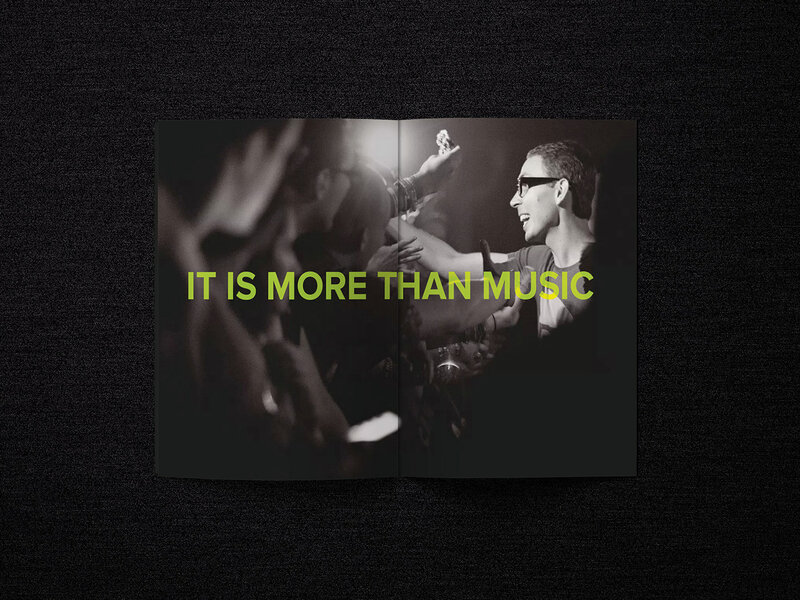 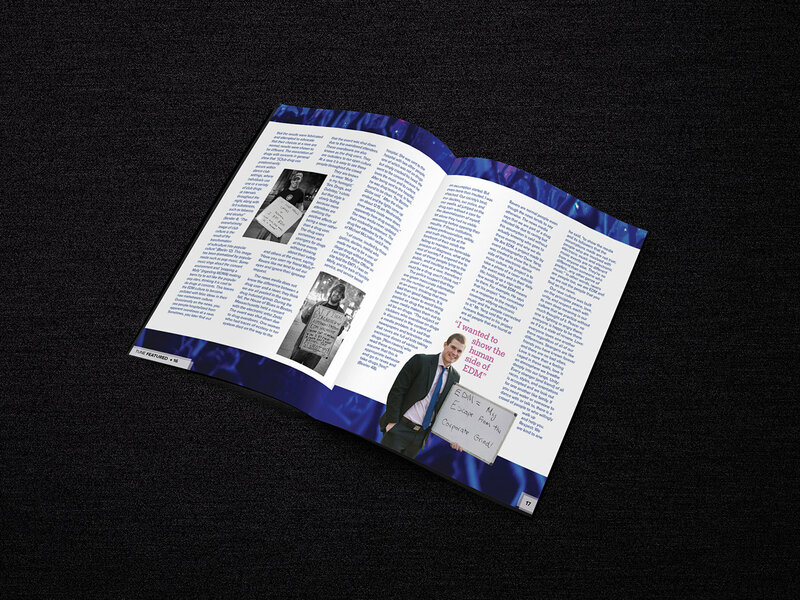 The zine is created in a size of 10 x 14 cm so that its audience, ravers, can hold on to it the whole night and keep it in their UFO pants pockets with ease. 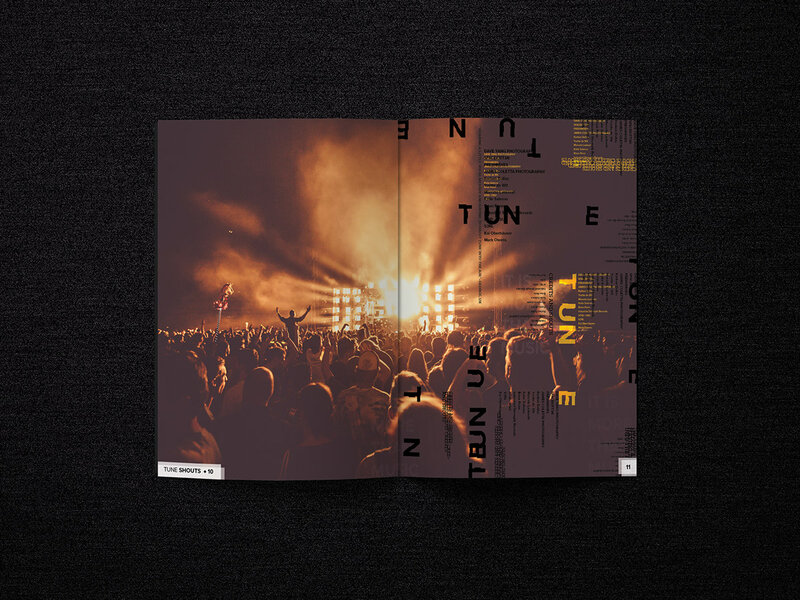 A book any larger is available for print, however you will not find those copies being passed out at warehouses due to the inconvenience of having to hold them once given to you. 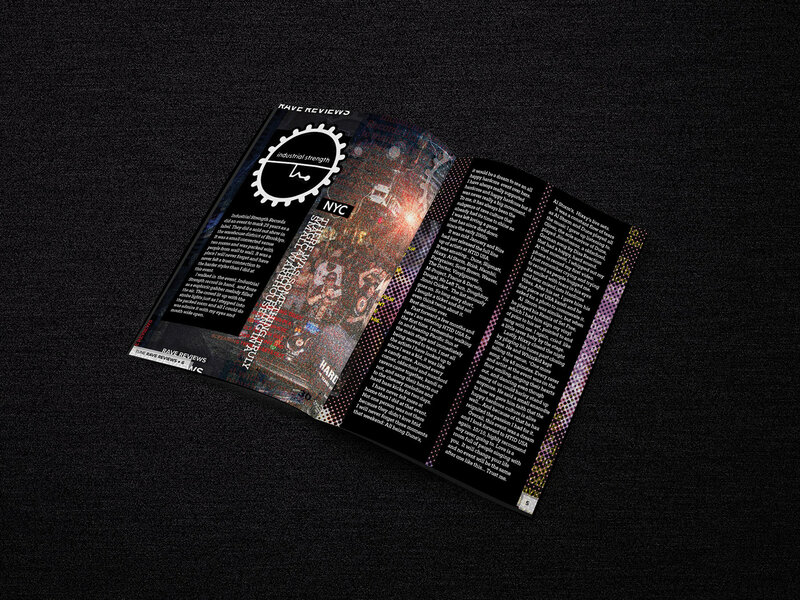 The larger version is more like a coffee table edition in case people would like to collect them, as many do with special posters and flyers from past events. 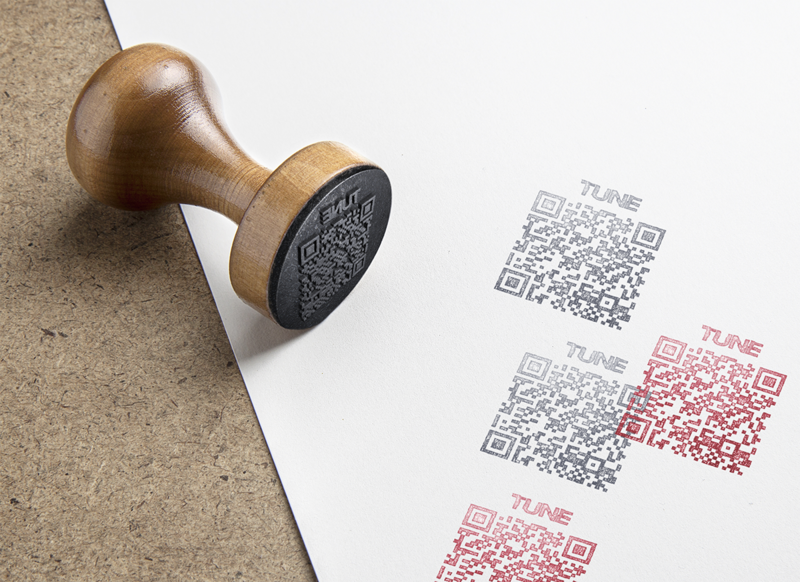 In addition to a printed version, users can access a web or digital version through a QR code. 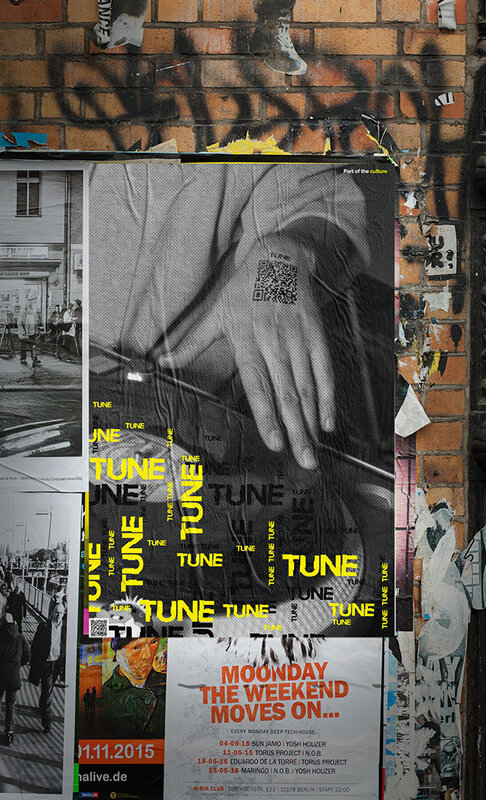 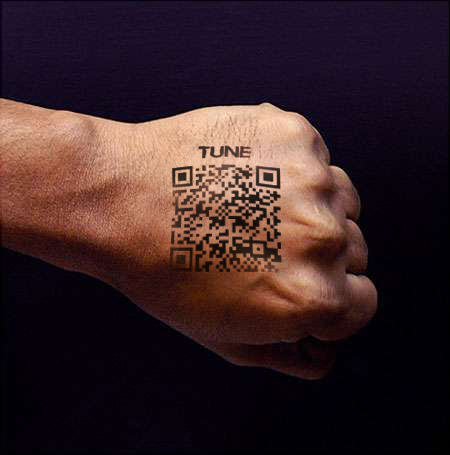 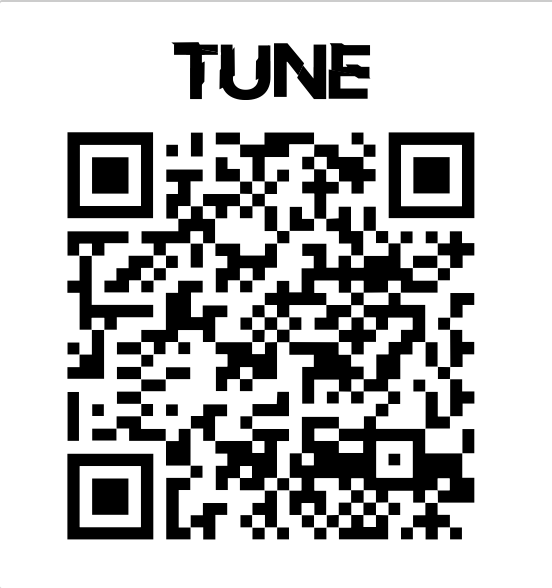 The QR code is to be displayed two ways: One way being on an advertisement pasted near venues for the night. 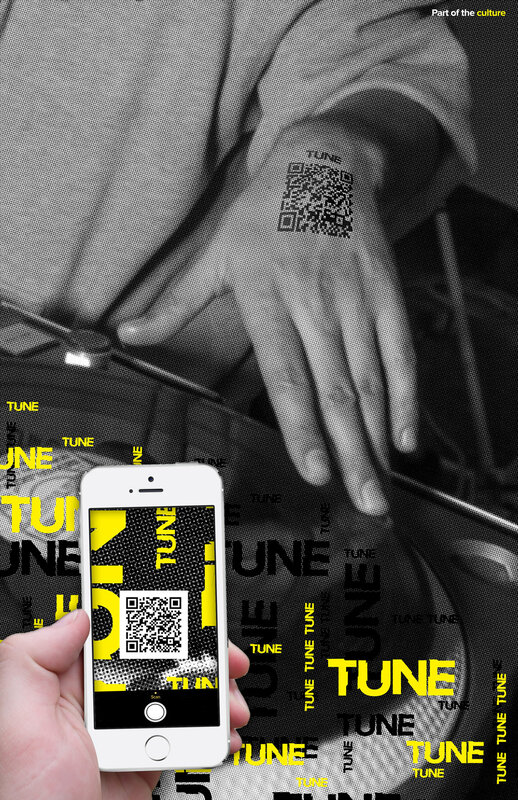 The second is as a hand stamp for event entry, where users will be stamped using this design. 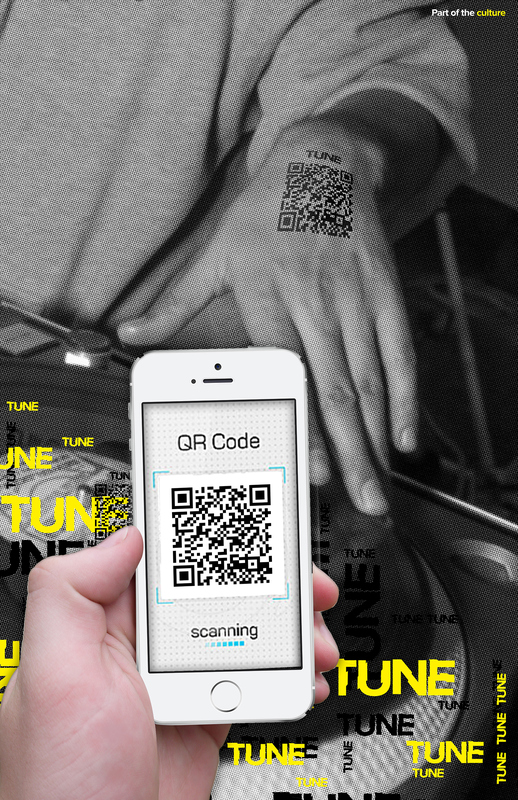 Users can scan the QR code on either method.